You ever have one of those days where you can’t decide where to eat? This was one of those. My coworker Harrison was heading towards Chinatown for lunch at Mika and I decided to come along for the walk and pick my lunch destination along the way. We made it all the way to the Mika stairwell on the ground floor of 150 Centre street before I spotted something I had never seen before. A brand new cafe. And the girls behind the counter are dressed in pink maid outfits! What kind of perversion have I stumbled upon? At that moment I blurted out loud to Harrison “Where am I?” I just had to give it a shot if for no reason other than sheer morbid curiosity. 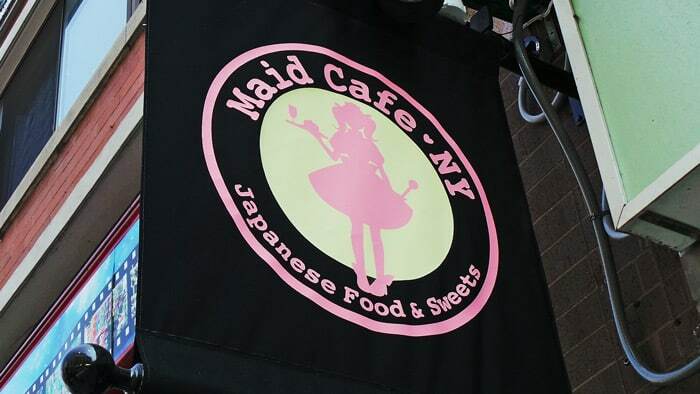 Maid cafés were originally designed primarily to cater to the fantasies of male otaku, fans of anime, manga, and video games. The image of the maid is one that has been popularized and fetishized in many manga and anime series, as well as in gal games. 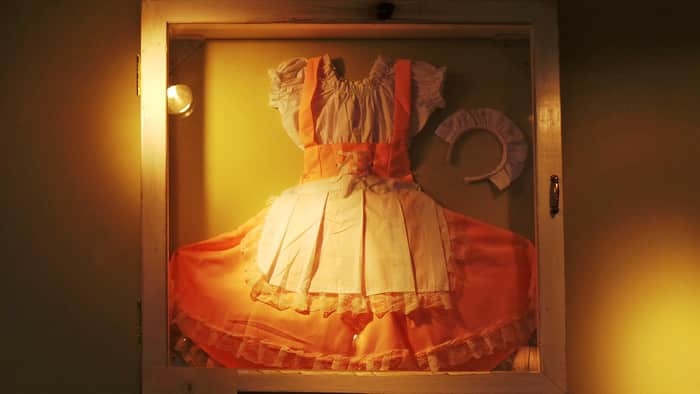 Important to the otaku attraction to maid cafés is the Japanese concept of moe, which generally describes a love for anime, manga or video game characters. More specifically, moe refers to adoration for young or innocent-looking female characters. People who have moe (especially a specific subcategory known as maid moe) are therefore attracted to an establishment in which they can interact with real-life manifestations (both physically and in demeanor) of the fictional maid characters that they have fetishized. I definitely feel like a perv now. It’s a really strange and interesting place. 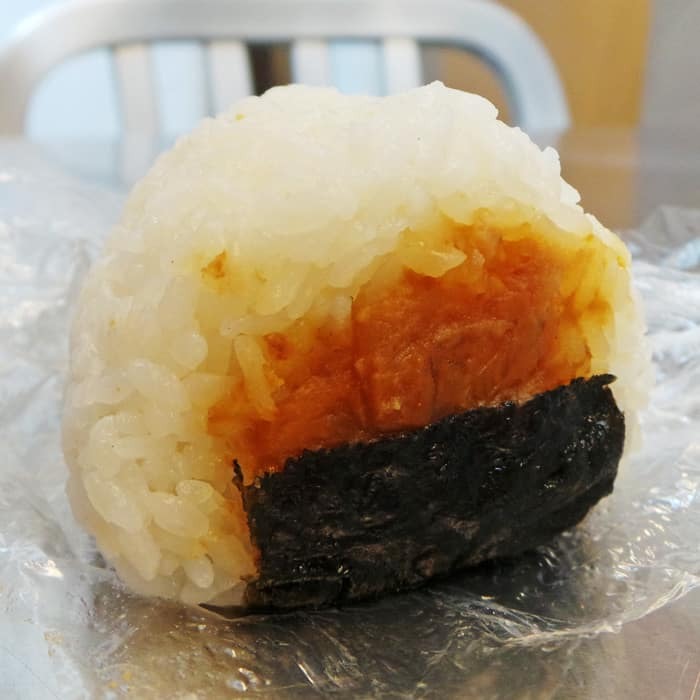 They sell standard Japanese pastries and comfort food like curry, onigiri, and cake as well as more strange things like eye-changing colored contact lenses and parasols. Totally bizarro world in here. It’s sort of freaky in here actually. 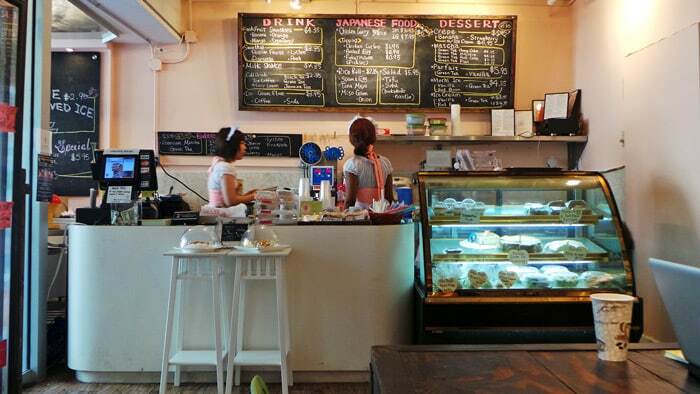 I placed my order and waited patiently inside the large, air-conditioned cafe while my food was prepared. One of the three maids eventually came out from behind the counter, walked right up to me, made eye contact, curtsied, then said in a quiet, deeply Asian accent “Your order is ready” before scurrying off behind the counter. I picked up my food, paid, and headed back to my office to see what I had received. I decided to start with onigiri, a flavored rice ball wrapped with seaweed. I chose the miso and green onion flavor, which is pretty subtle, but pleasant. The texture of the rice is good and this item serves as a nice, simple, handheld snack but it’s nothing extraordinary. 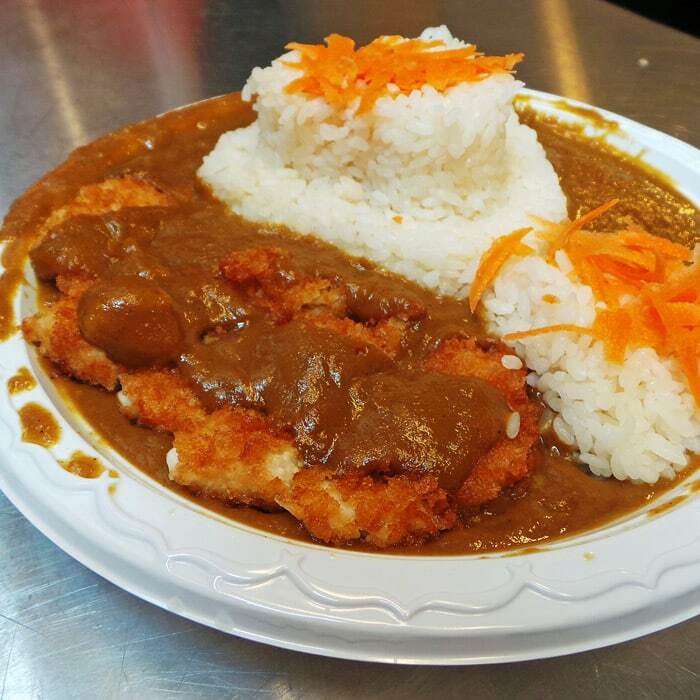 For my meal I decided to give their rendition of Japanese curry a shot and ordered it with a fried chicken cutlet. The curry tastes a bit sweet and peanuty to me and fairly straight-forward. I’m pretty sure the curry is the boxed variety. I’m a big fan of the curry at Go Go Curry, which I frequent often, and find their’s to be much more complex, flavorful, and satisfying, but this version is still enjoyable in it’s own right. You may notice that the mound of white rice is formed into a heart shape. After reading more about the Maid Cafe culture online, I’ve learned that part of the schtick is for everything to be made as “cutesy” as possible… hearts, smiley faces, and other decorations with condiments are apparently a common trend. 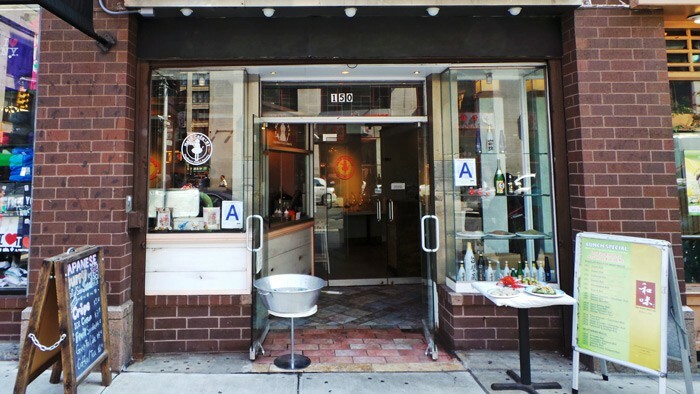 In conclusion, if you want to experience something unique in Chinatown, check out Maid Cafe. The food is not the best you’ll find, but c’mon they’ve got Asian girls in little frilly pink maid outfits.